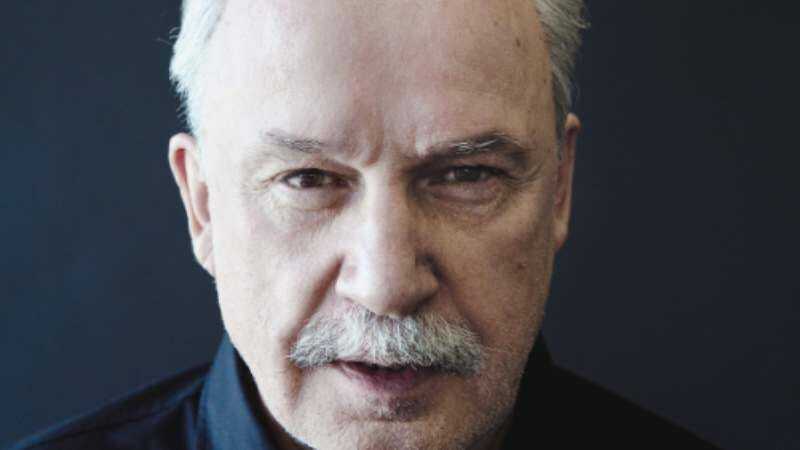 For the past two years, Eurodisco kingpin and EDM godfather Giorgio Moroder has spent a lot of time taking bows. After Daft Punk paid homage to him in 2013 with the touching Random Access Memory track “Giorgio By Moroder”—featuring the man himself, providing a short spoken-word memoir—he’s become a go-to hire for remixes, and has been doing DJ sets that mainly consist of him shuffling slowly back and forth next to his equipment while pointing happily into the air. 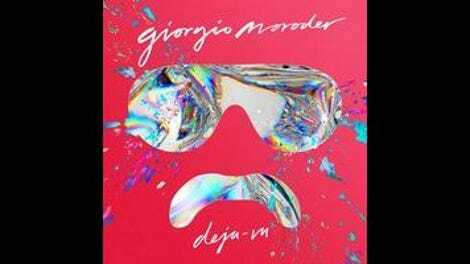 Now Moroder has produced his first full-fledged album in decades, releasing it into a pop market that owes him a tremendous debt. With Déjà Vu, he seems anxious to collect. Following the comeback model established by Santana’s Supernatural, Déjà Vu is thick with guest vocalists, including Sia, Charli XCX, Britney Spears, Kelis, and Kylie Minogue. Beyond being a commercially savvy move, the parade of superstars makes the point that today’s dance-floor divas are just walking in the footsteps of Donna Summer, who in the 1970s collaborated with Moroder on a series of singles and albums that celebrated sensuality. It’s hard not to hear echoes of Moroder’s past throughout Déjà Vu. The Minogue cut “Right Here Right Now” is a grinding disco anthem with an exultant chorus, designed to get hands in the air. The mostly instrumental (save for one vocoder-aided line) “74 Is The New 24” relies on the intense, circling synthesizer sound that Moroder himself described well in the title of his Midnight Express soundtrack hit “Chase.” Songs like “Wildstar” and “Tempted” could almost pass for early 1980s roller-skating jams, were it not for their busier, more modern production. That contemporary approach to Déjà Vu’s sound keeps the album from being as fun as it should be. For the most part, these are simple uptempo club tracks—to the point of coming off a little generic in the Mikky Ekko-featuring “Don’t Let Go,” and in Spears’ superfluous cover of Suzanne Vega’s much-sampled “Tom’s Diner.” The tightly packed instrumentation plays as overly bombastic at times, as though Moroder were trying too hard to dazzle. On the other hand, too much effort is preferable to too little. If nothing else, Déjà Vu bears the distinct stamp of Moroder’s personality, which in his old age has become cuddlier and more whimsical (not unlike the bubblegum-pop impresario he started out as in the early ’70s, before he met Summer and their co-producer Pete Bellotte). It’s the pounding synth break of the Déjà Vu track “I Do This For You” that makes more of an impression than guest vocalist Marlene. And when all the album’s components come together on a song like the wonderfully weird and ecstatic “Diamonds,” Moroder earns every curtain call.